Hungry to learn something new? Shofuso’s dance tasters are a great way to experience both classical and folk dance styles of Japan. Meet the instructors, get an introduction to the styles and learn more about our dance classes. Gear up for the 6th Annual Philadelphia Obon Festival by learning and practicing bon odori, the traditional dances of Obon from all over Japan. 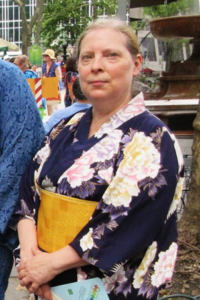 Practice with bon odori dance leader, Deborah Klens-Bigman, then come back on August 18th to enjoy dancing together in the festival (rain date August 19th ). No previous dance experience is necessary.